All 4 Saison strains in a row. I've talked about this on Twitter, and alluded to it in a prior post but after responding to this post on Reddit post by u/Biobrewer I was selected as one of three Beta testers of new yeast strains for The Yeast Bay. I couldn't have been more excited to be picked, I love the idea of splitting batches and testing different yeast strains in the same wort. Especially strains never before isolated from unique producers of interesting beer. The four of us, Nick, myself and the other two Beta testers (Brian and Marshall), got together to do a Google Hangout video chat to introduce ourselves and talk about what the upcoming projects would look like. Nick laid out the plan for the first two rounds of testing, first of which would be a split 12 gallon batch of Saison using four different single Saison (Sacchromyces) strains, labeled 1,2,3,4, isolated from beers from all over the world. Nick sent us the strains but kept their identities secret so as not to sway our opinions in any direction. Boiling starter wort and sanitizing vials on my lunch break! The plan was we would split off 2.5 gallons into 3 different 3 gallon Better Bottles (pitched with strains 1,3, and 4 for me) and the remaining 4.5 gallons going into a 6 gallon carboy (pitched with strain #2). We were each assigned one of the four, in my case strain #2, to be pitched into the larger batch (4.5-5 gallon), with 1 gallon being packaged clean and the rest would be split evenly into 4x 1 gallon fermenters to age in secondary with 4 new Brett strains Nick also sent us. The other three 2.5 gallon batches will be packaged clean of course. This way we would all be able to taste each primary Saison strain solo as well as each Sacchromyces strain aged with a new Brett strain in secondary (one of the testers is doing 2 sets of Brett secondaries). A well thought out plan to test out a lot of strains, in slightly different ways, out of only one (per Beta tester) brewday. Starters. Those are polypropylene jars, you should get some. We came up with is a very simple straight-forward Saison recipe, something that should allow the yeast to shine. The grain bill is just Pilsner/Wheat/Munich with Magnum for bittering and thats it. I built up 300ml starters for strains #1,3, and 4 and a 1L starter for the larger 5 gallon batch with strain #2. The brewday went smooth, I overshot the gravity by 1 point, that Avangarrd Pilsner is a beast, aerated each carboy, and pitched that night. I put them into the fermentation chamber with a set point of 71 F for Primary fermentation, as dictated by Nick the other 2 Beta fermented at different temps. Both strains #1 and #4 were the first to show activity getting going in under 6 hours, with strain #2 and then #3 close behind in under 12 hours. Strains 1,3, and 4 finished in an expected amount of time, I ramped those 3 up to 80F to encourage more dryness. But strain #2 looked to moving very slowly, fermentation was never overly vigorous and after the krausen fell I could see a lot of tiny bubbles shooting up to the surface. I was planning on taking a gravity reading on day 12 to see if they were done but strain #2 was still showing signs of activity. At this point I warmed the larger carboy containing strain #2 up to 82F in hope of finishing up more quickly (the other 3 remained in the high 70s after a peak of 80F). I pulled samples from all 4 fermenters, to taste, take gravity readings and to package. I was confident that all 4 batches were fully fermented out at this point, but I was a bit worried about how strain #2 finished. The other two Beta testers noticed the same finicky nature of strain #2, we all had different target fermentation and mash temperatures to see how the strains performed under different conditions. Brian and I, who fermented at 67F and 71F respectively had strain #2 stall at or around 1.020 while Marshal was able to coax some better attenuation at 1.015. Here is some info on how each of us mashed and fermented and what the numbers looked like on each strain. It is interesting to see the differences in attenuation, Marshall mashed a little bit higher than us all but experienced the most attenuation across the board, which can be attributed to a warmer ferment. Both myself and Brian came up with similar numbers when fermenting on the colder side. None of this is very surprising but its interesting to see differences in attenuation with different mash and fermentation temps. Originally Brian was suppose to mash low and ferment the hottest but he was concerned with being able to ramp that warm in his cooler climate. Primary strain #2, split into secondary with 4 different Brett strains. The 4x-1 gallon fermenters, on the right, contain the beer fermented with strain #2, each pitched with the 4 new Brettanomyces strains labeled 1B, 2B, 3B, 4B. With it stalling at 1.020 I guess I am lucky that I was assigned strain #2 to use on the Brett secondary, plenty of work for these Brett strains to do. Look for a post down the road on this Brett secondary batch as well as a 100% Brett fermented Beta test batch with the same four strains. Slight spoiler, Nick has some very very high praise for one of the Brett strains we are testing, the descriptor "sweet tarts" was used. mmmmmm. In a few weeks we will all be getting together on a Google Hangout session to try the beers together and take some more in depth tasting notes, but in the mean time here is a compilation of tasting notes from all 3 of the Beta testers on each strain. Keep in mind that these are all individual flavors/aromas that we each picked up and are only meant to be a preliminary review on the strains, we will have a full review of the finished beers up in a few weeks. #1: Banana, clove, corriander, peppercorns ,spice aromas. Dry, fruity, spice in the back of pallate. Saison-y, lingering finish. #2: Banana, clove, somewhat muted aromas. Full mouth feel, sweet, pretty clean. #3: Bit funky, rustic, earthy, hay, fruity aromas. Dry, subtle tartness, Pear, astringent. #4: Citrusy, fruity,peppery, light on aromas. Harsh/aggressive finish but not undesirable. I think we certainly have some winners on their own, while some others may work best in blends. I harvested slurry from each batch and plan to play with blending a few together, I am thinking strains 1 and 3 could work well together. If you want to read more, check out Marshall's post on his blog, and Brian recently started a blog and is starting to document his progress. Science! Update: Brian was able to jack up the temperature on strain #2 to 85F and get it to drop to 1.015. Its possible I waited too long to ramp the temp up, or my mash and ferm temp made for less attenuation. The numbers have since been updated. Misc: 30 seconds of pure O2 per carboy. Filtered Philadelphia Tap water, Baxter Plant, no salt additions. Notes: Come on, there is more than enough above, and my hands hurt now. 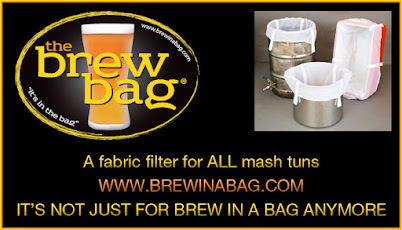 First, Great Blog, I stumbled across it on Homebrewtalk in your 'cloning hop hands' thread. Second, I am still fairly new to homebrewing, and I am trying to get a grasp at how different process can effect the final outcome of a brew. I have read that mashing at a lower temperature will create more ferment-able sugars, and in turn, this should create a drier beer. It was interesting to read that you were not surprised that Marshal had the greatest Attenuation percentage even though he had the highest mash temperature. You stated it was due to higher fermentation temperature. In your experience, which has a greater effect on attenuation, mash temperature, fermentation temperature, or is it a good mix of both? Raising the temperature allows for metabolic processes to occur at a faster rate. However, if a certain yeast cannot utilize certain substrates or can do so but very inefficiently, it doesn't matter how much you jack up the temperature! It's really about finding a compromise between wort fermentability (mash temperature), yeast selection and fermentation temperature. Adjusting and accounting for all three factors is how you will really dial the attenuation in. The only way to understand how each variable affects your beer is with experience, brewing the same beer multiple times and adjusting each factor one at a time. My personal experience is that yeast selection (and use within the recommended temperature range) and mash temperature are the two most important of the three variables. Thanks for the reply, great to get some good input, appreciated. Great write-up! I'm so stoked to try the finished Saisons (hopefully) this evening. Fruit Saisons: We use all parts of the buffalo.